I'm not ready to share my Halloween costumes for this year, yet. Yes, I have two planned - one couple costume for the wedding rehearsal we're attending on Friday and one for work on actual Halloween. Just wait until you see that one - I'm so excited! But, I am coming to you today with an awesome Halloween costume idea that I've done in the past. 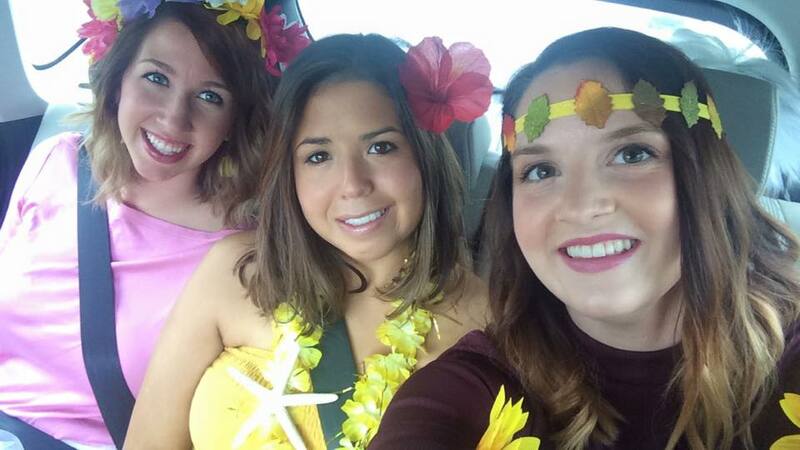 Last year, we did a huge bar crawl in Charlotte and I never saw a single other group in our same costume. I saw a few "basic white girl" but that was the closest I saw. There were a few we saw a ton of: Mario Kart, Waldo, politicians, and a slew of others - but no other seasons! 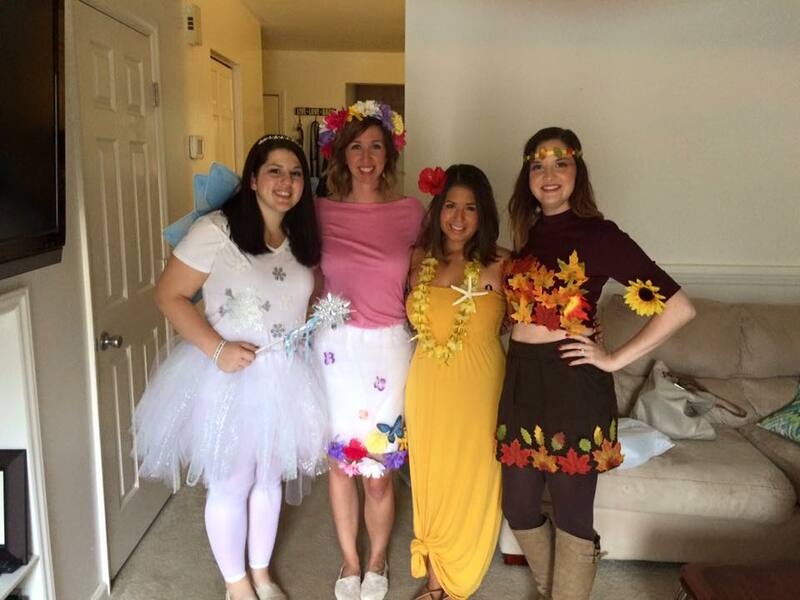 Alyssa did a post about how she made her "Spring" costume last year - check it out here. So I wanted to share how the rest of us put our costumes together! On to "summer" - Kristin! 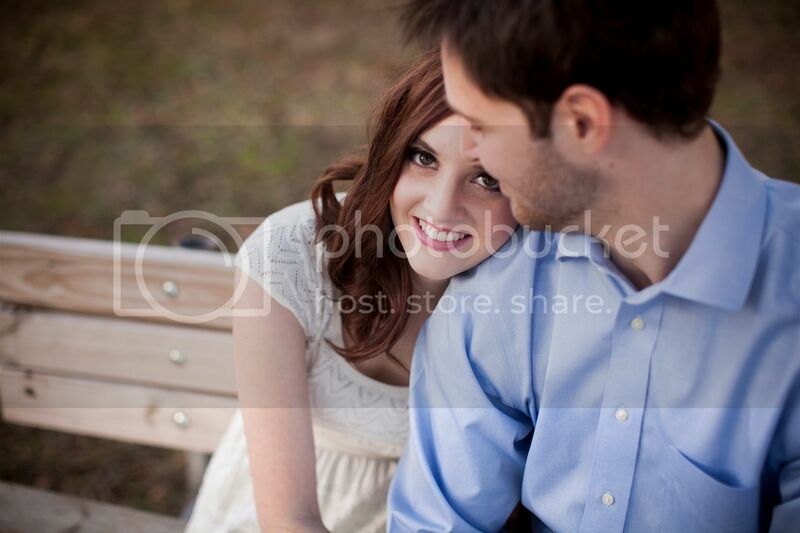 Kristin's was so simple and easy to put together which I love! She actually found the yellow dress at Goodwill I believe (I found one for you here). 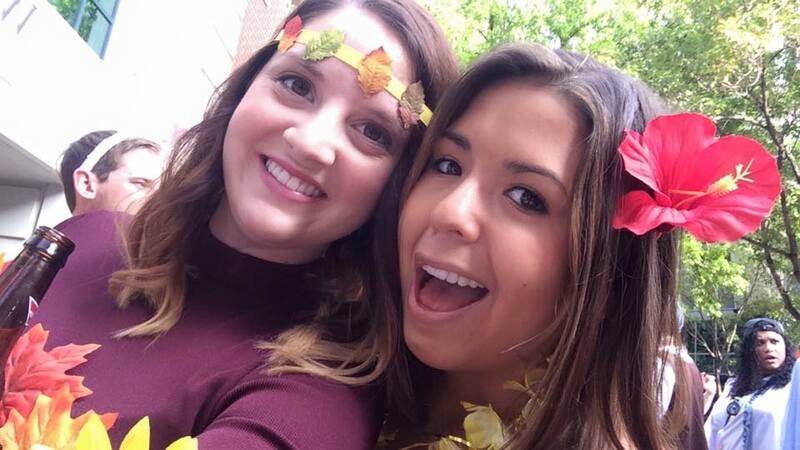 Then, she got the lei and fake flowers for her hair from the party supply store! Easy, peasy! Next up, "winter"! Sam purchased a white tutu (here's one from Target!) a simple white t-shirt that she didn't plan on wearing again. 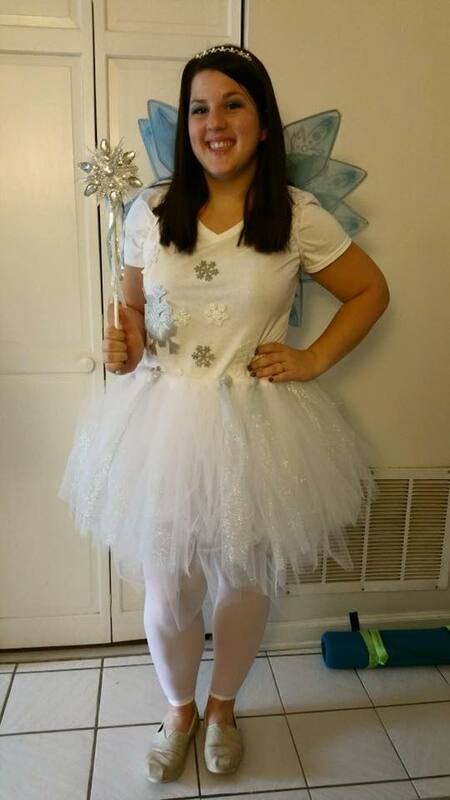 She added some snowflakes to the shirt and topped it off with blue fairy wings, a wand and white tights! Finally, I saved the best for last (okay, okay, I'm totally biased because Fall is my favorite - hence why I claimed fall!). I made mine pretty cheaply and I apologize in advance that I didn't take pictures and then save them for a year. I was bad at blogging back then. Ugh. Lucky for me, I had the skirt already that I just had never really worn and the leaves were leftover from our wedding. The only things I had to buy was the top and yellow ribbon for the headband! Don't fret - I'll link some options for all of these, though! I used a hot glue gun to attach the leaves to the clothes (it took more than I originally thought on the top) and gave it some time to sit. Once I they sat for a day-ish, I really tested them out to make sure they were going to stay stuck for the night. For the headband, it was simple matter of fitting it to my head and hot gluing those babies on! Seriously, such an easy costume. Okay, now for some options! Do you already have a Halloween costume planned for this year? Do you have a favorite one you've done in the past?